Over the past few weeks I’ve been musing on Colin Brent’s criticisms of the Campaign’s overly politicised tone and style. Whilst Colin is at pains to say he does not wish the campaign to be apolitical, he adds, “let’s not bombard people with yet more Politics with a capital P, but rather engage with youth workers around their experiences.” For my part I’m not clear what he means by Political with a big P. However his challenge poses dilemmas in terms of what material we [I] might be posting on these pages. In this respect I have asked that the Steering Group discuss whether we need some collective editorial guidelines to steer my day-to-day maintenance of the IDYW site. Obviously any thoughts from supporters would be most welcome. The rich are getting richer to an extent that is breaking our society – and our economy – apart. The writer of the piece is Duncan Exley, the campaign director of One Society and a director of the Equality Trust, the latter set up by Richard Wilkinson and Kate Pickett of The Spirit Level : Why Equality is better for Everyone fame. 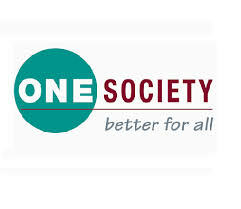 ‘One Society’ works to promote policy & practice which would reduce excessive income #inequality and have benefits for society, businesses & the economy. Their politics are in my opinion less than radical. They believe in the possibility of a responsible and ethical capitalism. However their emphasis on growing inequality surely touches upon both youth workers’ and young people’s experience of life today. Thanks to Annette Coburn for the link. Next New Year's Greetings : Fall in Love not in Line!